Info Centre Korona in Viikki is the main building of Helsinki University’s Viikki campus. The architecturally interesting, round building houses e.g. 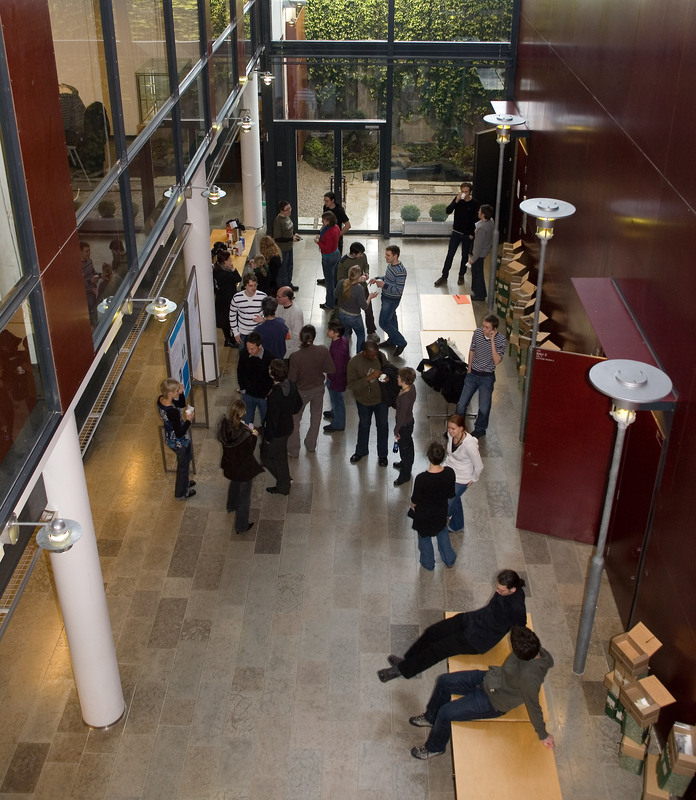 library and information services, faculty and campus administration, study and lecture rooms, computer classrooms and a cafe. 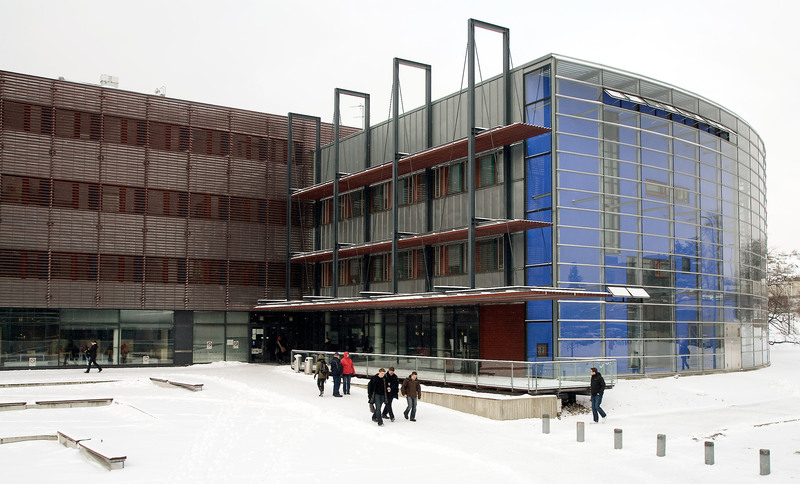 The Viikki Campus Library and the Viikki Library of Helsinki form the central part of the building. 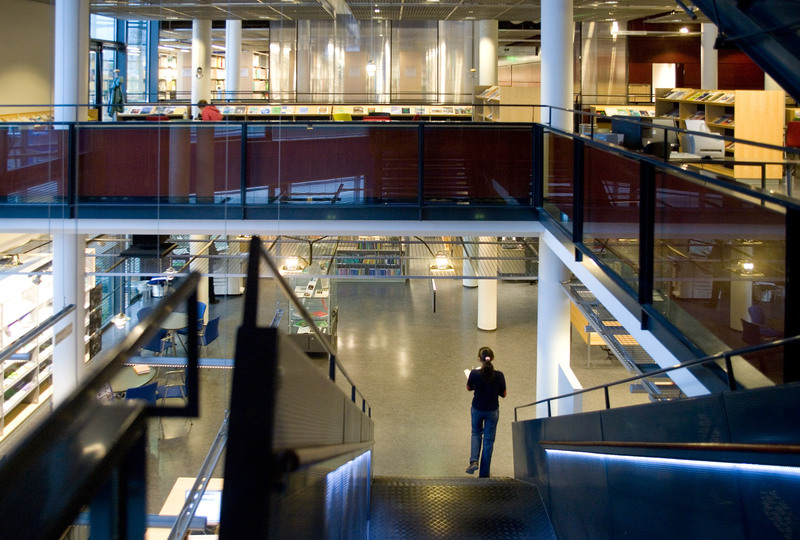 Viikki Campus Library is one of the four campus libraries of the Helsinki University Library. 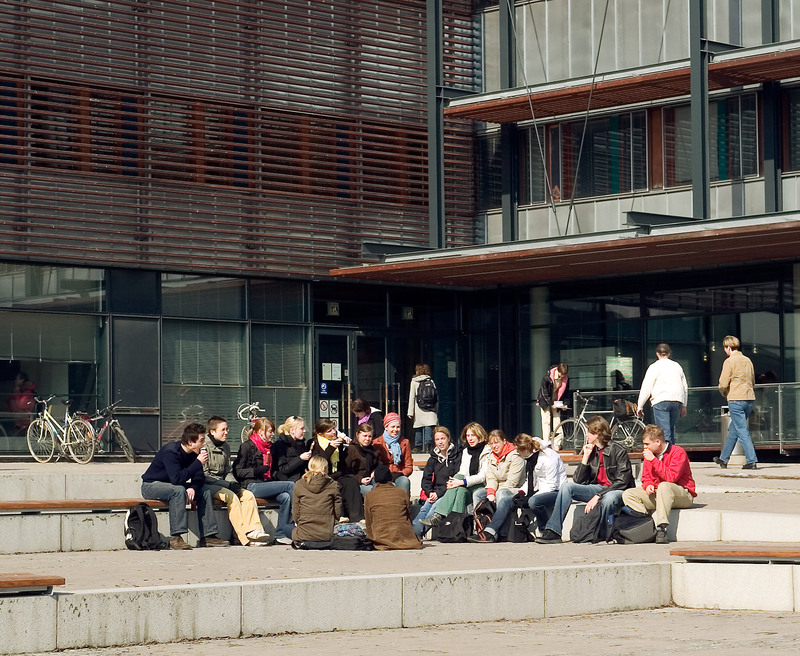 Viikki Campus Library serves the staff and students of the university, as well as all information seekers of biological and environmental sciences, agriculture and forestry, pharmacy or veterinary medicine providing an ideal environment for knowledge-intensive study and research. 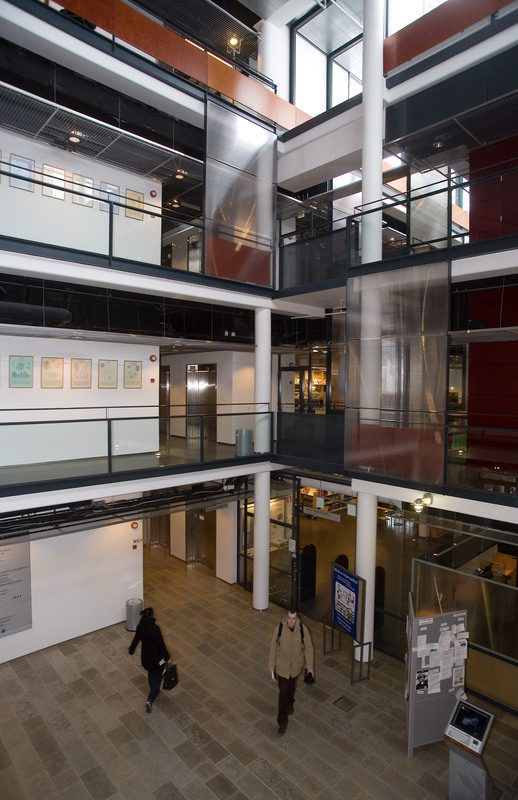 Viikki Campus Library and Viikki Library share some common spaces: a newspaper reading room and a reference library. These include material from both libraries. The libraries also organise exhibitions and events together. 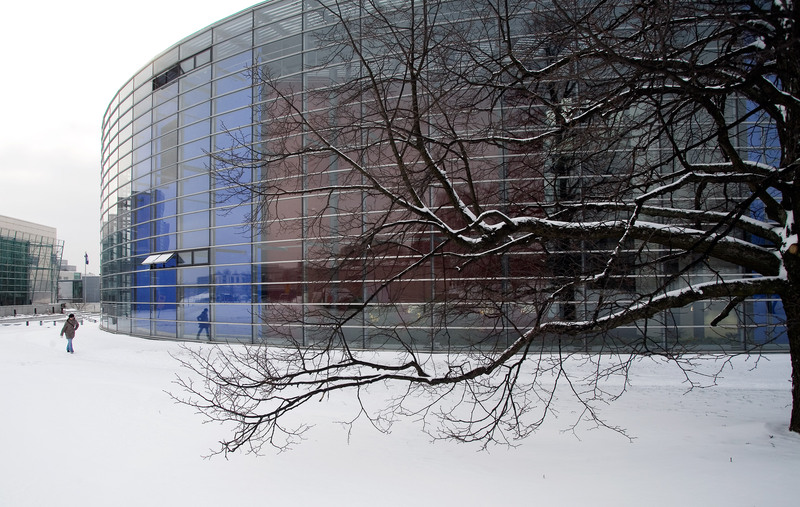 The Info Centre was named Korona after the double outer wall that surrounds the circular building. The facade gains life from the interaction between the outer glass wall and the rough wall in the background. The entrance opening cuts off part of the circle’s perimeter and forms the campus square. A special feature in the building are the three winter gardens, ideal for reading or rest. The unique gardens, the Egyptian, the Roman and the Japanese Bamboo Garden are open for all visitors. 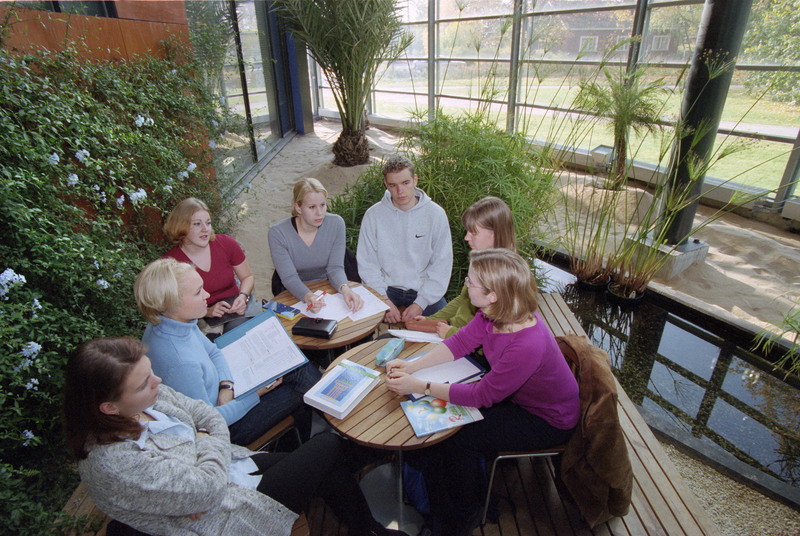 With reference to the green Viikki Campus, ecological sustainability was an important principle when the Info Centre was designed.